London: Manchester United manager Ole Gunnar Solskjaer says Paul Pogba has a “big, big part” to play at Old Trafford despite speculation linking the French World Cup winner with a move to Real Madrid. Real boss Zinedine Zidane is expected to be busy in the summer transfer market as he tries to reinvigorate a side that crashed out of the Champions League in the last 16 and are lagging 12 points behind leaders Barcelona in La Liga. United midfielder Pogba last week described Madrid as a “dream club for every player” while on international duty with France and Zidane on Saturday hailed him as “a player who knows how to do everything”. 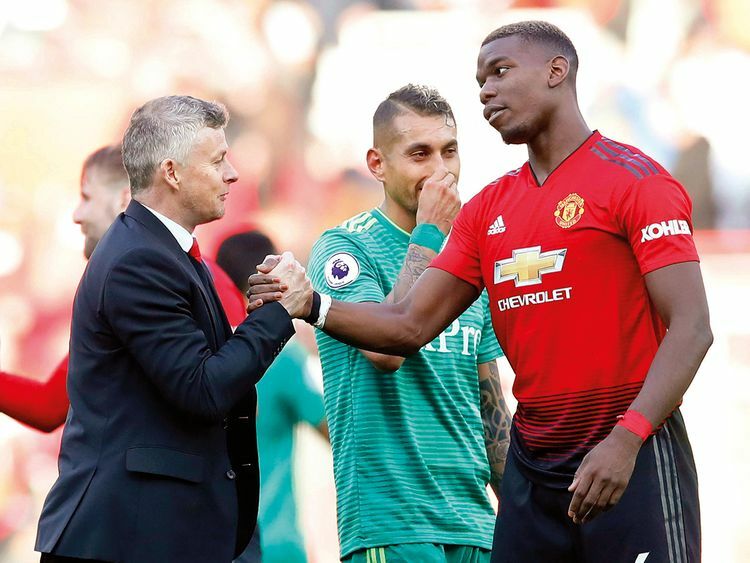 But Solskjaer is determined that Pogba, one of the world’s most marketable players, will not be a part of Zidane’s rebuilding plans and believes the midfielder simply gave a straight answer to a question. “I don”t like to talk about other teams’ players,” the Norwegian said ahead of his side’s Premier League match against Wolves on Tuesday. “That is one of the challenges of the international break. “Players are available all the time and it’s a different environment and it’s more of a general talk. “Paul is a very nice and polite man and he answered a general question. Of course, Zidane is an icon in France. Zidane is a fantastic manager and he used to be a fantastic player and I played against him. “So Paul has politely answered that question. But he is happy here. He is going to be a big, big part of things here. Solskjaer, appointed as permanent manager last week after an impressive spell as interim boss, said he would be comfortable with the appointment of a director of football to sit between himself and executive vice-chairman Ed Woodward. “Football has changed and the structure at clubs has changed,” he said. “Ed and (co-chairman) Joel (Glazer) and me are looking at how this club can be run as smoothly as possible. “We will see what we end up with but I am happy talking football with knowledgeable people in the right positions anyway. Solskjaer is preparing his team for the rearranged league game at Wolves as the chase for a top-four spot heats up. United will leapfrog Tottenham into third place if they win at Molineux, with Arsenal and Chelsea also fighting for the remaining two Champions League qualification spots behind Liverpool and Manchester City. They will have to improve on their last performance against Wolves, a 2-1 FA Cup defeat two weeks ago, the worst performance during Solskjaer’s spell in charge. But the Norwegian is confident of making amends this time.